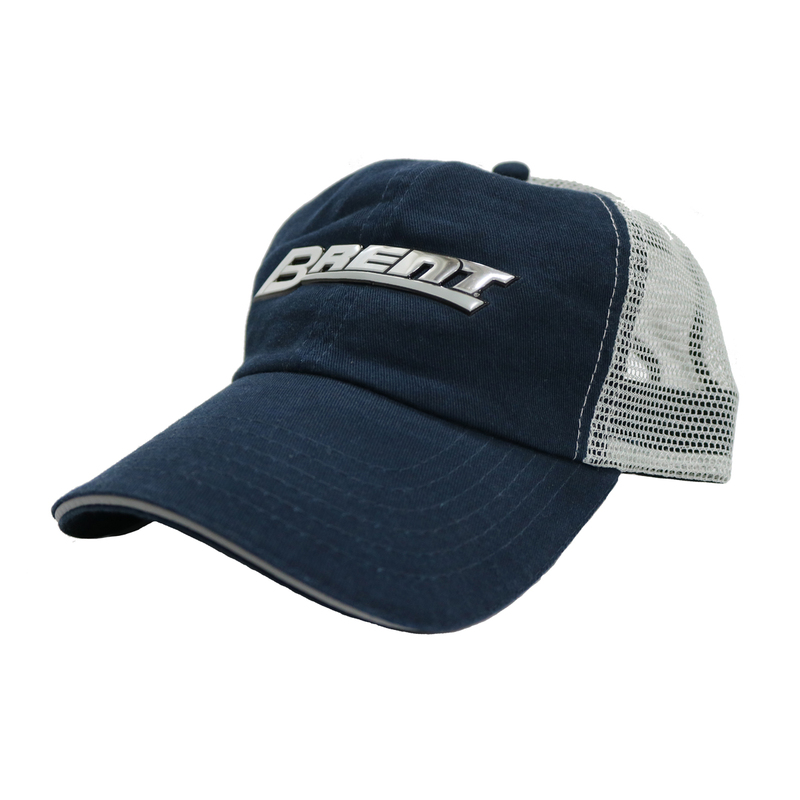 Brent Adjustable Velcro Hat - HATS - Unverferth Mfg. Navy Hat with liquid silver Brent logo and gray mesh back with a sandwich bill. 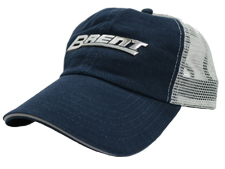 Brentequip.com embroidered on rear, Velcro® closure to fit most sizes.